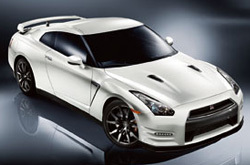 Thanks for choosing Peoria Nissan as your resource for 2013 Nissan GT-R reviews. We take our job to equip the most outstanding reviews created by Nissan automotive writers - it's just another thing that makes us the prominent Nissan franchise in Phoenix. Make familiar decisions when it comes to your next auto purchase, don't take guesses! Each passage is bundled with material and vehicle features in way that's easy to understand. Watch the video below or skip it to get the GT-R review. When comparing the 2013 Nissan GT-R against the 2013 Porsche 911 Carrera, Audi RS 5, Chevrolet Corvette Z06 and the BMW M6, and you'll discover that the GT-R outshines those autos in quite a few aspects. Scan just a few of the reasons below. 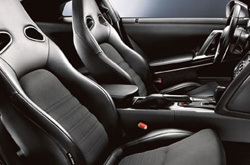 See inside the 2013 Nissan GT-R - view video here! Unlike megacorp auto centers, our Phoenix car repair facility offers legitimate OEM parts, spectacular Nissan trained technicians and a no-charge warranty for all work. We're also conveniently positioned near several recognized abutting cities. Even the quality Nissans in Phoenix can take a thrashing, so turn to the Nissan service and autp repair specialists in Phoenix at Peoria Nissan. We handle labor intensive, time consuming services like electronics repair, as well as effortless operations such as quick oil changes, air filter replacement and a diverse set of supplementary services. Peoria Nissan is your best choice in Phoenix for fast, professional Nissan GT-R repairs and regularly scheduled maintenance. Find terrific service coupons at Peoria Nissan by clicking underneath this sentence!